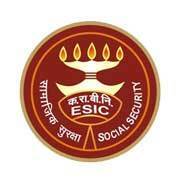 ESIC Delhi Jobs Recruitment Notification 2018.Employees State Insurance Corporation New Delhi inviting applications for the positions of Social Security Officer/ Manager Gr-II/ Superintendent.Interested and Eligible candidates can apply for the positions. Last Date for Submission of Application is on October 05th, 2018..
1. A degree of a recognized University. (Preference will be given to the graduates in Commerce/ Law/ Management). Relaxation will be given as per Govt. Rules. Revised pay as per 7th Central Pay Commission for the post is Level- 7 of Pay Matrix (Civilian employees) with Entry Pay ₹44900, replaced against Pay Band ₹9300- 34800 with Grade Pay ₹4600 of 6th Central Pay Commission. On the basis of examination/ interview. Candidates log on to "https://www.esic.nic.in". Go to "Recruitments" & Select the desired post. Click on “Click here for Recruitments”, if you are a new user.